Apostilled Arizona Certificates for England, Australia, Canada, South Africa, Ireland, or any country with membership in the Hague Convention. The Apostille certifies the authenticity of the signature on corporation documents. If your Arizona company has business owners who do not live in the United States, the Arizona Limited Liability Company may be a suitable company as it does not require members to be US citizens. Ordering a Limited Liability Company is easy from IncSmart.biz. If you are an attorney, CPA or Real Estate agent, a Professional Limited Liability Company will be better for you. IncSmart was a huge help in forming our new Arizona company. They new all the correct forms and the Registered Agent fees were great. You can't go wrong with IncSmart. Highly recommend. Thanks IncSmart. We just received our legal kit. 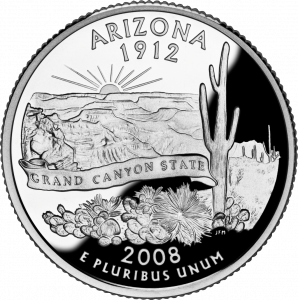 We just added our corporation articles for Arizona. I would recommend your company to anyone. 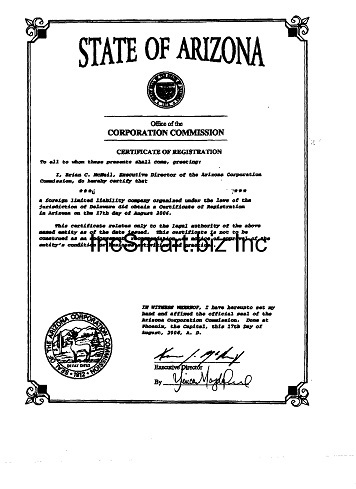 Woo hoo, we just received our Arizona Corporation documents from IncSmart. They have been so helpful in helping us set up our company. I highly recommend them. The service is top notch. Michael had the answers to all our questions. 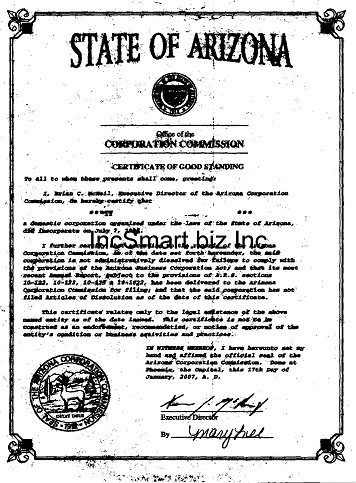 IncSmart was a huge help with the Arizona Corporation Commission. We first hired them as the Arizona Registered Agent, but we got bogged down when it came to filing our documents with the state. IncSmart came to the rescue. They took over the entire filing and we had our new company registered in a few weeks. Very professional. 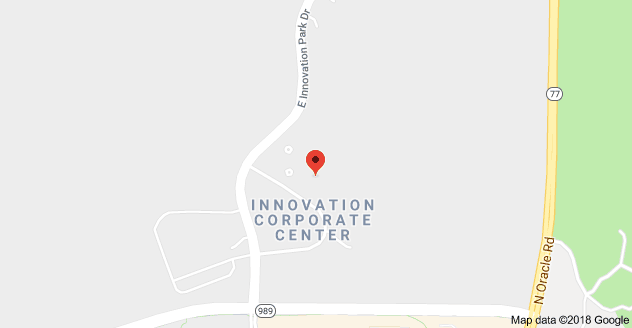 We used IncSmart to file our Arizona Corporation and we can only say good things about this company. The fees are affordable, and they answered all of our questions without hesitation. They know what they are doing. We needed to qualify to conduct business in Arizona, and your company had all the answers. Your Registered Agent prices are great. Overall it was an exceptional experience. Q: Does the Arizona Corporation pay annual reports? A: Arizona has annual reports for Corporations. They are due before or on the Anniversary of filing. IncSmart Arizona Registered Agent will alert you in a timely manner about all documents and service of process received as your registered agent. The state of Arizona requires Arizona LLCs and Arizona Corporations registered in the state to conduct business, have Arizona Registered Agent service. The Arizona Registered Agent you appoint for your company, will receive legal service and government notices on your behalf. The Articles of Incorporation or Organization for both domestic and foreign entities, ask for the address of the registered office to receive service of process. The Service of Process is a notice of a summons or a lawsuit. Now you too can have an Arizona attorney on retainer. Owners of an LLC are called members. Most states do not restrict ownership, and so members may include individuals, corporations, other LLCs and foreign entities. There is no maximum number of members. Most states also permit single-member LLCs, those having only one owner. A domestic LLC with at least two members is classified as a partnership for federal income tax purposes unless it files Form 8832 and affirmatively elects to be treated as a corporation. And an LLC with only one member is treated as an entity disregarded as separate from its owner for income tax purposes (but as a separate entity for purposes of employment tax and certain excise taxes), unless it files Form 8832 and affirmatively elects to be treated as a corporation. You will need to determine what type of tax-exempt status you want.